Cody Willis has always known he wanted to be a firefighter. 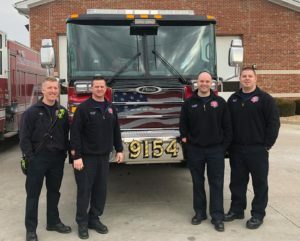 He joined the crew at O’Fallon Fire Protection District as a junior firefighter in 2011 and said he quickly realized he wanted to spend his career there. For Willis, being part of the “brotherhood” and being able to help the community during times of need is the best part of the job. In his free time, Willis enjoys golfing and hunting.